FOREIGN residents on the Costa del Sol have come together to discuss the benefits of joining the civil register, or padron. It comes as Marbella Mayor Angeles Muñoz hosted an informative and valuable meeting with the presidents of associations based in her city. The well-attended get together, to which the Euro Weekly News was invited, was held at the Adolfo Suarez Conference Centre, which features an impressive new foreign residents’ department. Ms. Muñoz said: “Our foreigners’ department, with its new headquarters, aims to offer an information service to the community and provide a link between citizens and the local administration. 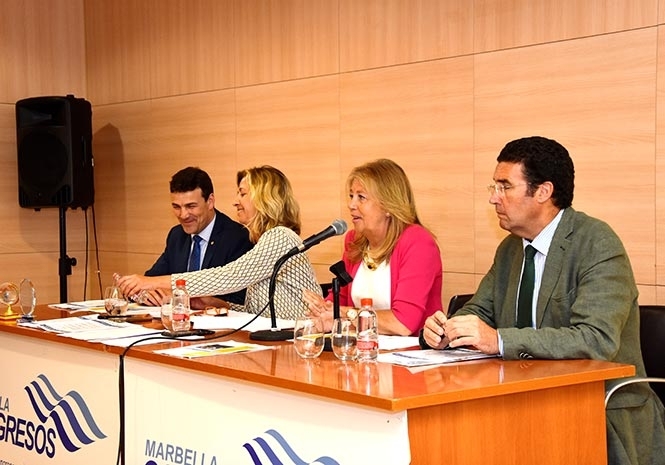 Other speakers included Cristobal Garre and Carlos Alcala, councillors for Nueva Andalucia and Las Chapas, respectively, plus foreign residents department chief Oti Gª Diaz-Ambrona.